Partner and Chief Operational Risk Officer, Goldman Sachs & Co.
Phil leads the firm’s Operational Risk Management & Analysis function. He is a member of the Firmwide Risk Committee, Firmwide Technology Risk Committee, Firmwide Operational Risk Committee and Global Business Resilience Committee. Previously, Phil served as Chief Information Risk/Security Officer and Head of Technology Risk. He joined Goldman Sachs as a vice president in London in 2000 and transferred to New York in 2001. Phil was named managing director in 2003 and partner in 2010. Prior to joining the firm, he was Chief Information Security Officer at Deutsche Bank and also functioned as the global head of Technology Risk Management for Standard Chartered Bank. Before that, Phil served in various technology, network management and software engineering roles at a number of finance, energy, and defense organizations. 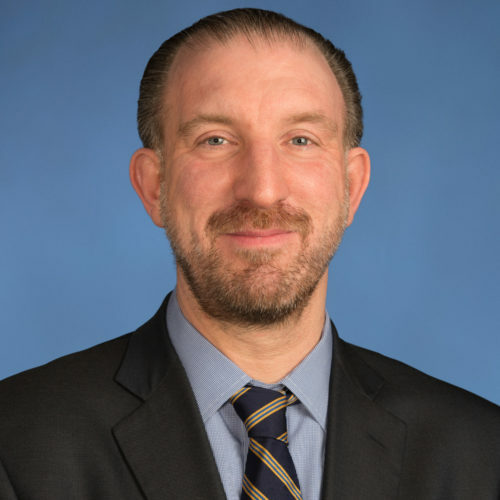 Phil serves on the Executive Committee of the US Financial Services Sector Coordinating Council for Critical Infrastructure Protection, is co-chair of the Board of Sheltered Harbor, and is a member of the boards of the Center for Internet Security and the NYU Tandon School of Engineering. He is also an advisor to the cyber-security efforts of the US National Research Council, the Institute for Defense Analyses and a US intelligence agency. Phil is a member of the Council on Foreign Relations. Phil earned a BSc (Hons) in Computer Science from the University of York and an MSc in Computation and Cryptography from the Queen’s College at Oxford University. He was awarded the designation of Chartered Engineer in 1995 and Chartered Scientist in 2002 and was elected a Fellow of the British Computer Society in 2005.